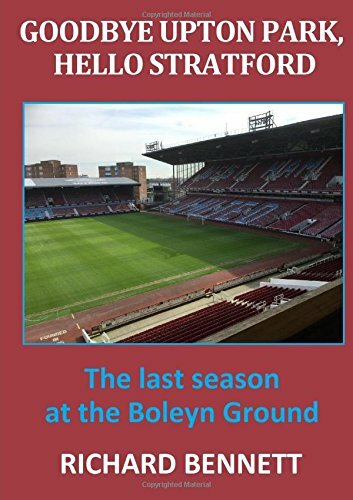 Under The Hammers – Page 97 – All the West Ham news, views and reviews. The Transfer Window is a time of speculation, exaggeration and outright invention. For the ever growing number of football news websites and blogs all looking for content that will attract traffic to their site there is nothing like a good transfer story. A daily dose foretelling the latest exotic recruit linked to your club keeps many fans at fever pitch for the entire window – even if the original story was a figment of an over-active imagination. Someone, somewhere will post a rumour which is copied, shared and tweeted and like all lies when repeated often enough becomes a fact. Or maybe the original source is an agent attempting to stump up some interest in his want-away client. In the spirit of the game I have invented my own statistic that 80% of all rumours are fabricated. Even when you have copied someone elses rumour it is no use being obvious that the story is the same as a dozen or so others already on the news feed. The title of the post needs to be vague and cryptic enough to seduce the reader to click on through. The day after West Ham had signed Arthur Masuaku from Olympiakos I saw a headline on Newsnow that read something like “Done Deal: Second Defender Deal Completed in Two Days”. Excited that it was a shiny new Right Back to complete a matching pair I was deflated to discover that the story was about an academy graduate agreeing to go out on loan. Genius and it completely fooled me. Whenever a transfer story appears there is always an army of angry supporters ready and able to argue about it regardless of how unlikely the whole thing is likely to be. There will be the guy that hates the board and will repeatedly accuses them of penny-pinching/ misleading/ talking to media too much/ not giving supporters enough information; another who is adamant that we are paying well over the odds for every player linked (as if the transfer fee was coming out of his own pocket); and the bloke that doesn’t like or want us to do business with certain other clubs. While opinions on players are perfectly valid (would anyone, for example, really want us to buy Benteke?) it hardly seems worth getting worked up about spurious speculation. From the Manager dipping in to his “war chest” to “swoop” for the “want away” player that has “issued a come and get me plea” to the club that have “slapped a 50 million valuation” on their star player while”preparing a bid” for someone else’s in order to “test their resolve” the transfer window has a jargon rarely experienced anywhere else. Sky Sports understands that this is unlikely to change anytime soon. The transfer window is open for two months in the summer and another month in the winter. One assumes that clubs are allowed to draw up their shopping lists well in advance of the window opening and so can clearly can hit the ground running. In fact, West Ham always seem to complete some encouraging early business but then lose momentum. As the days pass there is growing tension and panic leading up to deadline day where a high proportion of the workforce stop work to follow supposed sightings of players at airports, hotels and training grounds. We are told not to go to bed else something that we have some control over happens before the morning when that window will have slammed shut. There could be a good case for having the winter window open for one day only. Another season, another reason, for makin’ whoopee? Top 4, second season Slav syndrome or more of the same? At the start of last season I was warned to be careful what I wished for and would happily have settled for a more entertaining brand of football while consolidating our place in the Premier League with another mid table finish. Looking back objectively on the season only the most difficult to please supporter would dispute the view that the on-field achievement outperformed all expectations. A collection of inspired transfers and a more expansive style resulted in a creditable 7th place finish that included notable victories over Arsenal, both Manchester clubs, Chelsea and a double over Liverpool that finally ended the 50 year hoodoo at Anfield. The flip side of taking welcome points from teams that we had traditionally rolled over to were the tame defeats to Bournemouth and Newcastle and dropped points against Villa, Norwich, Stoke and the Baggies. Had we beaten the teams we might be expected to beat then it was maybe the golden opportunity to secure the holy grail of a top 4 finish. Now it is one year later and we begin the new season with relatively short odds for a top 6 finish and well off the radar as relegation candidates. As a long time hope-for-the-best, expect-the-worst type of supporter I wonder whether this optimism is justified considering how much cash is being flashed by all and sundry during the transfer window. The 2016/17 season has new brooms at both Manchester clubs and Chelsea while Klopp begins to sweep away all of Brendan’s dead wood at Liverpool. Each of these clubs have been spending big as manager’s frantically attempt to build squads in their own image and will likely continue to do so until the window (slams) shut. In North London, Levy’s usual haphazard approach to transfers with all the discernment of a finalist is a Supermarket Sweep competition is now tempered by a competent manager advising him to steer clear of anything past its best before date. Over at Arsenal there is even the possibility of the Gunners making a late appearance at the transfer party as soon as Wenger remembers where he left his ATM card. We look to have made some shrewd additions to the squad but I don’t believe we have adequately resolved the full back and striker situation. This will be a tough second season for Slaven Bilic as far as Premier League position is concerned especially with the prospect of Europa League to contend with. My heart wants glory but my head sees a repeat of last year’s seventh place at best. Here are my full selected standings. My prediction of what the final league table will look like come May. Last season, one of the country’s biggest bookmakers, William Hill, offered a prize of £50 million to anybody who could (before the season began) correctly predict the final Premier League table. If nobody was successful then £100,000 was on offer to the closest forecast. It cost £2 to make each entry, so they only needed 50,000 entrants to cover their costs if nobody could correctly list the finishing positions of the 20 clubs. And of course nobody did bag the £50 million. The odds of correctly forecasting 20 different clubs to finish in a particular order is, according to my calculations, somewhere between 2 and 3 million million millions to one. That’s 18 noughts. I’d call it trillions but that’s not strictly correct. Even if you thought that the top six were cast in stone, and the 14 other clubs had no chance of coming out on top, then perming the favoured six in any order followed by the remaining 14 in every combination would still result in around 63 million millions to one. Yes it’s virtually impossible, especially with surprises such as the final positions of Leicester and Chelsea last season. To make a comparison, the odds of coming up with the Lotto jackpot are around 45 million to one, and the EuroMillions 116 million to one. I’ll challenge my fellow writer, Geoff, to make his prediction and we’ll see who is closest next May. I reckon we’ll finish seventh, the same as last season. I hope that we win it of course, but I’m not sure that we are quite ready to challenge the big boys just yet. But I hope I’m wrong! The bookmakers make us eighth favourites to win the Premier League. I have always been in favour of our move into the new stadium. For me, Upton Park was never the same after the ground redevelopment following the Taylor Report. Now that I have been twice to the London Stadium (Domzale and Juventus) I will relate my personal experience so far. Of course we’ll be able to judge the move better when the season really gets underway with the start of the league games. Firstly, the journey. As someone who has for many years travelled from Bury St Edmunds (via Epping Station on the Central Line) to watch us play then this is slightly easier for me as I now don’t need to add the District Line journey. But this makes little difference really. The walk to the stadium from Stratford station (via Westfield) is deceptively longer than it would appear, although for me it is more pleasant than the walk I used to take from either Upton Park or Plaistow stations. I’ve read some complaints regarding the time to reach Stratford station after the game; it took me 40 minutes after each game from my seat to the platform following a leisurely stroll. Again, not an issue for me, but for some who are in a rush then perhaps it is. I’ve noted many leaving both games early (with the mock fire drill chant from our own supporters!) so perhaps they are desperate to get away. I don’t really understand that one myself. In 58 years of regularly watching the team I have only left the ground once before the final whistle was blown. The bag search outside was carried out by friendly people and entry via the turnstiles was easy both times with no queueing. When I reached my seat I found the view to be excellent. When I visited the Reservation Centre to choose my seat I tried to replicate the view I had at Upton Park and am more than happy to be sitting close to the front of the upper tier. The seat itself is considerably wider than the Boleyn seat with significantly more elbow room and leg room, and a better viewing angle (that is angled towards the centre circle, not square to the pitch). One thing I’m getting a little cheesed off about is the song / chant that appears to be more prevalent in the new stadium (Stand up if you love West Ham / hate Tottenham / Hate Millwall etc.). Most people in the ground are there for those reasons anyway, they don’t need to stand to prove it! In many parts of the ground (mostly behind the goals and in the lower tiers generally) standing areas are emerging where fans are on their feet throughout. That’s absolutely fine with me, and these seem to be the sources of the stand-up chant. I just don’t think we need to be continually implored to stand. You can love West Ham or hate Tottenham in either the standing or sitting position! As the Juventus game wore on fewer were standing each time. The toilets were clean (as befits a new stadium), and unlike Upton Park provided considerably more facilities, little queueing, hot and cold running water and soap, although how long the plumbing facilities remain at this standard remains to be seen. By the end of the game I was amazed at how many still manage to piss on the floor though! One thing I won’t repeat is buying a coffee; I have to say it was in my opinion possibly the most foul-tasting coffee I have ever experienced. As far as the atmosphere is concerned I believe that this is generated by the fans and not by the stadium itself. Last season at Upton Park the atmosphere varied from electric (at the Manchester United (league), Liverpool (cup), and Tottenham games, for example) to very ordinary / quiet at many other games. It wasn’t the ground itself that produced the atmosphere for me, it was the fans reacting to the games. The roof at the new stadium lends itself to increased volume when the fans react accordingly, and certainly the singing of Bubbles has been spine-tingling. I reckon decibel levels are much greater here than at Upton Park, although I’m not sure any measurements have been taken. I concede that the Boleyn may have had an added intimidatory factor due to the proximity of the crowd to the pitch, but this too was significantly reduced following the 90’s development into an all seater ground. When we all stood on the North and South Banks and Chicken Run it was a different matter. Overall, I have to say that my expectations, which were already high, have been significantly exceeded by the London Stadium experience. I believe that it also gives us the potential (just potential mind) to move to the next level. Most people I’ve spoken to hold a similar view, but some disagree. I’ve read comments like sterile and other negative reactions to the move, but it’s all about opinions. You can never please everyone. Me? I love it here. The New Football Season – We Play Last – Is It A Good or Bad Thing? A fragmented start to the new season for West Ham due to TV and Europa League demands. I am old enough to remember the sheer excitement and anticipation of the beginning of a new football season. All of the teams in the top tier (Division One it was called then), and throughout the Football League, would kick off at 3.00 on a Saturday afternoon and by 4.45 we would have all completed the first game. The Sunday morning newspapers would print the first league tables, which would often bear little resemblance to how they would look by the end of the season. But nobody under the age of 30 will recall those times. These days it doesn’t happen like that. The bottom three divisions all kick off a week before the Premier League. Sky Bet Leagues 1 and 2 have a full league programme on the Saturday with all the games kicking off at 3.00 on Saturday, but the Sky Bet Championship has one game on Friday evening, nine on Saturday afternoon, and a further two on Sunday. One week later the Premier League season begins. But we don’t all kick off at the same time. Because of television we have six different times for games to be played over the first weekend (how long before it is known as Matchday 1? – perhaps it already is and I’ve missed it!). One game kicks off at 12.30 on Saturday, five at 3.00, and one at 5.30. Then on Sunday we have games at 1.30 and 4.00. Finally on Monday evening at 8.00 our season eventually gets underway with a visit to Chelsea. Ironically if the Premier League table is printed in the Monday morning newspapers, we will not be at the bottom although we won’t have played a game (unless of course all the nine games played end in draws – most unlikely!). We will have zero points with a goal difference of 0, whereas it is likely that some teams will have lost their opening game and therefore have zero points with a negative goal difference. So without playing we will have a game in hand over all the other teams (bar Chelsea) but sit above the relegation zone. Of course once the game has been played we could move to either the very top or very bottom of the league! The following weekend (Matchday 2 – you see I am keeping this up!) we have a slightly different arrangement of games. This time the games on Saturday and Sunday remain the same (that is, five different kick off times for the nine games, but the Monday night game is replaced by a match on the Friday preceding the weekend). So the final game on Matchday 2 is at 4.00 on Sunday, which is of course our opening home league game of the season when Bournemouth are our visitors. If we move on to Matchday 3 the following weekend, then there are no games on either the Friday or Monday. One game kicks off at 12.30 on Saturday, six begin at the traditional time of 3.00 and then there is another at 5.30. That leaves two games for the Sunday, one at 1.30 and another at 4.00. Of course you know who is playing in the final game on the third weekend. Yes that’s right – us again, when we face a tough away fixture at the Etihad Stadium. So right from the beginning of the season we are playing catch up every single weekend. Is this good or bad? It also seems to me that the fixtures computer appears to be fiendishly programmed to give us tough away games at the start of the season again, just like last year. The following weekend, after just three weeks, we have a rest. The first international break of the season kicks in after just three games! Football statistics, what do they mean and how do West Ham fare? One of the growth industries of modern football is the statistic and every game seemingly now has an army of people studying play on computer monitors so that every pass, tackle and duel can be recorded and fed into a database for subsequent analysis and debate. As a young boy I was regularly given Playfair Cricket and Football Annuals as a present which became required bedtime reading to the accompaniment of Radio Luxembourg where Horace Batchelor urged listeners to subscribe to his patented method of winning the football pools. While the Cricket Annual was packed with player stats of runs scored, wickets taken, catches, stumpings and averages the most that you got for football players of the time was appearances and goals scored. Even Horace Batchelor had no inside statistical knowledge to support his“Famous Infra Draw Method” and his approach was to pool resources and create a huge permutation to improve the chances of picking out the drawn games. Fast forward to today and the internet is awash with football stats and there are companies and websites that are completely devoted to their collection and analysis. The range of stats now includes number of shots, passes, tackles, fouls, aerial duels, short passes, long passes, dribbles, interceptions and distance run. The problem that I have is that while these stats may be interesting is their any causal relationship between the information collected and the outcome of the match? Looking at the cricket stats I think it is clear that scoring runs and taking wickets are quite fundamental to winning a game but how important is, say, aerial duels won to the outcome of a football match? The Whoscored website is a great resource for the stats aficionado and they live by their claim to be “Revolutionising Football Statistics”. So it was interesting to look at how Leicester had fared last season from a stats perspective as they ran out comfortable Premier League champions by 10 points. The stand-out for me from Leicester’s season is that they were ranked 18th for Possession and 19th for Pass Success Rate (we should not be surprised that these two metrics are closely correlated because I have read that Opta use Pass Success Rate as a proxy for Possession – they don’t actually record who is any possession at any one time!). Where Leicester did well was for Interceptions, number of Tackles and Aerial Duels won. For Aerial Duels they were just behind Aston Villa – so we can see that it didn’t do them much good. From all of these stats, Whoscored derive an overall rating (although I couldn’t find any details as to how this is calculated). The top 6 clubs based on the rating (in order) were Arsenal, Leicester, Tottenham, Manchester City, West Ham and Southampton with Manchester United in distant 10th place. So I guess you could say there is some correlation if the rating is directly related to the attributes measured. For the TV viewer it is Possession that is the most frequently presented statistic and this seems odd when, at least based on last season, it bears no relation to the probable outcome. It may give the disgruntled losing manager something to hid behind yet the only true meaningful statistic is goals scored. The statistical summary of West Ham’s last season also shows that we were one of the poorer teams as far as Possession and Pass Success (12th and 13th respectively) are concerned. We performed quite well for Total Shots and Shots On Target but our main claim to fame was being one of the most Fouled sides in the league. So that was last season and for this we start with a fresh notebook and pencil and will provide regular updates on how the wonderful world of statistics is affecting West Ham’s season.